Today is the day!!! The political ads are done, it is ELECTION DAY!! I’m glad I can put the piles of advertisements behind me and I hope that the US can move forward with whoever is elected. I voted this morning and am lucky because my precinct is so far off the beaten path that only one person was there with a sign and his signs always make me laugh. Eric Eisnaugle. I wonder if he is related to this bear? This was my first time voting for the person who signs my paychecks, which is kind of weird, and I’m sure a little unusual. Hopefully they don’t know who I voted for so I can’t get a pink slip from the other one! Bottom line, if you are 18+ and an American citizen you should make your voice heard. Whether you like Tea Bags or coffee. Elephants or Donkeys. It matters not, just vote! Vote or Die by being buried to death with mailings!! Sorry bout the really crappy cell phone pic…but that was my mail from yesterday. 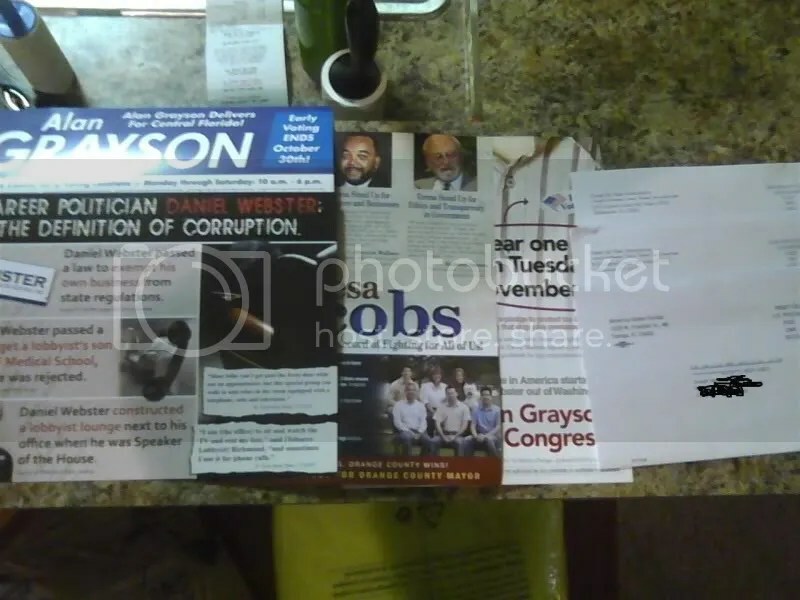 One day…NOTHING but political mailings! Yes everyone, June is Goat Trauma Awareness Month. I may be stealing my friend, the keeper of monkeys, thunder by talking about awareness but this one was too big to ignore. You can learn more about the horror that is childhood goat trauma on The Childhood Goat Trauma Foundation’s website. Including the very chilling goat trauma in action section. It is almost too much for me, goats are scary. Especially the theatrical kind! Just kidding Greater Orlando Actor’s Theatre! I’ve been thinking (and have heard) that I might possibly look better without my glasses. Of course I have worn glasses for years now and have never worn contacts. I’m not sure I could touch my eyeballs, but should I give it a try? What do yall think? Any observations on contacts? 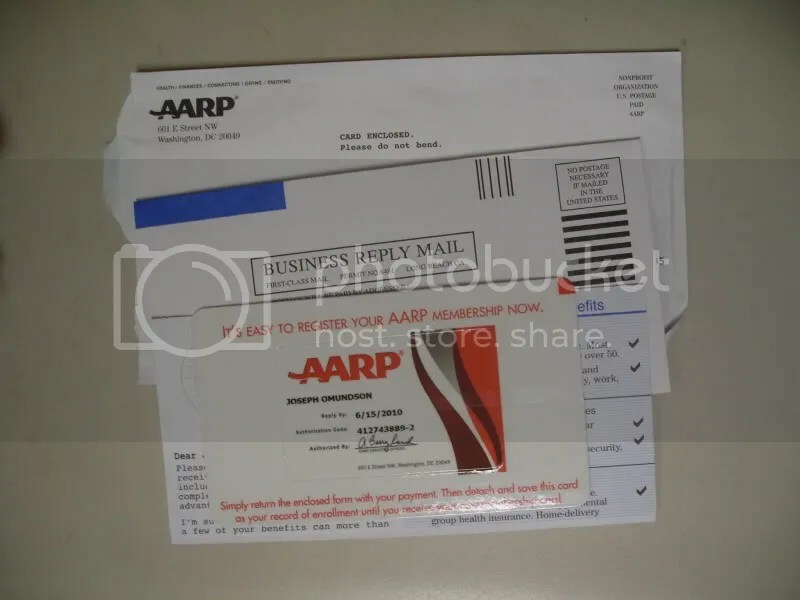 The AARP (formerly the American Association of Retired Persons) must be REALLY desperate for membership. Ok, now my mom is ALREADY counting down the months to my thirtieth birthday but COME ON! 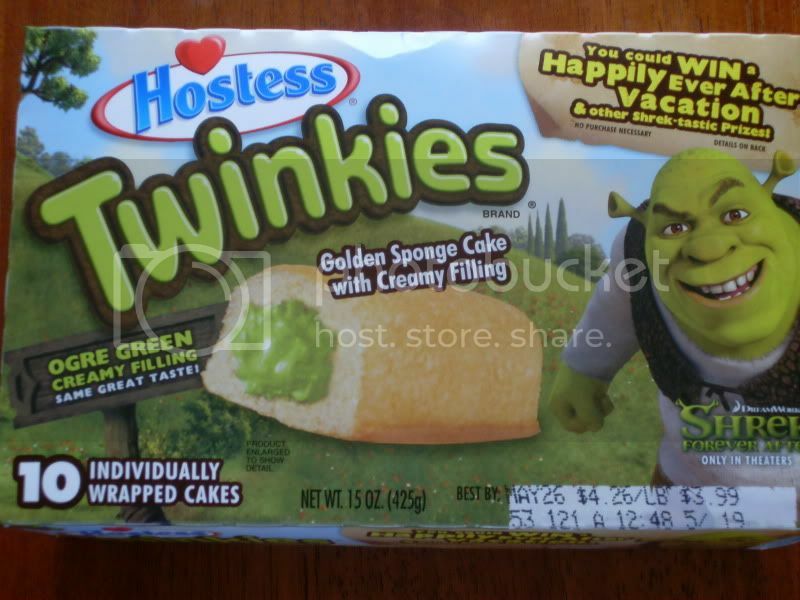 For those of you who don’t know my thirtieth birthday will be in June of 2011. I will not be old enough for AARP for another TWENTY-ONE years (and one month)! I still think that will be early since I doubt I will be the “R” in AARP by then. I mean, it will be nice but not really realistic. So, is someone playing a joke on me? Signing me up online for this to remind me of how quickly my hair is turning gray/falling out? Should I send them $16 for a membership and consider myself retired? They do get some nice discounts and I don’t mind an early bird special every now and then!